The new cat door now has its own enclosed porch for maximum feline comfort. 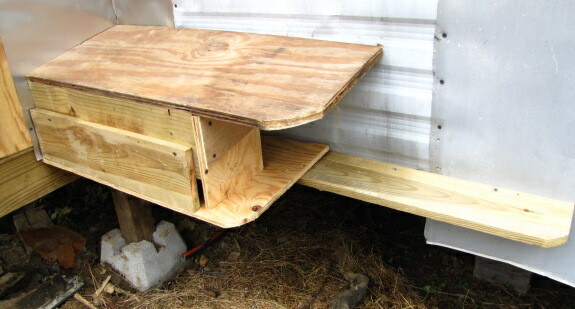 Huckleberry and Strider are still working their heads around it, but I have high hopes this will be a good, protected nook for them to hang out in during cold or wet weather before I let them in the house in the morning. 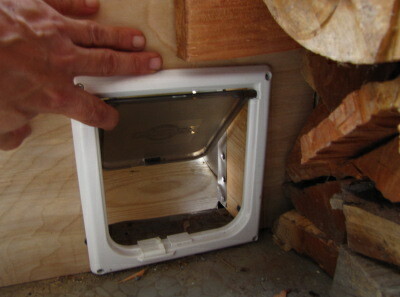 Plus, the door is a bit more insulated than Mark's homemade window pet door, so we can leave it open on winter days.